Chandler Massey and Ron Carlivati. 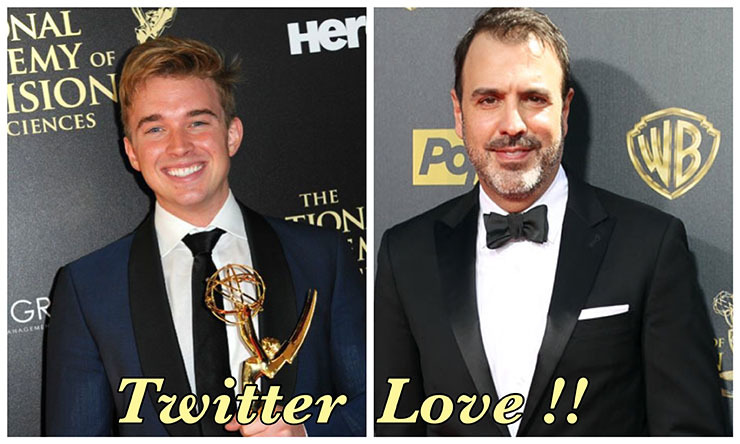 Days of Our Lives fan fave Chandler Massey took to social media to tease what’s ahead for him as his return to Salem comes up! Massey took to Twitter to tell his superior at Days, head writer Ron Carlivati, that he loves the script he’s gotten from him. Related: Chandler Massey is on his way back to Salem! He said it’s simply on fire–using both words and wordless emojis! Carlivati responded with his own Tweet. He said he wasn’t sure what Massey meant in his digital missive. He did urge his followers to tune in, however! We know we will be! Will you, dear Soap Cities readers? Don’t Miss: When you can expect to see the Ron Carlivati’s first material as head writer will debut. 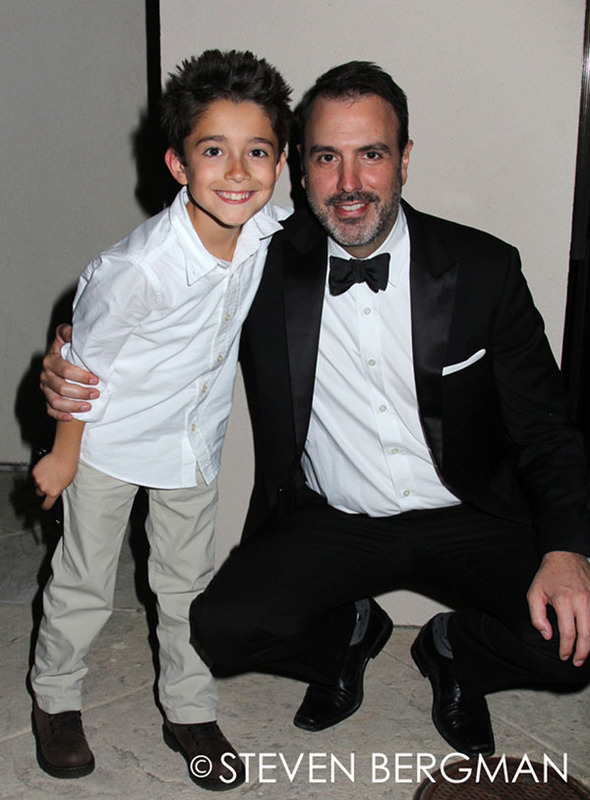 Nicholas J. Bechtel and Ron Carlivati. Photo Credit: Steven Bergman. Carlivati thanked Bechtel for telling him that. See the whole fun interaction below. Give us your input in the comment section below. Check back with Soap Cities for more Days spoilers, recaps, news, and fun! Follow us on Twitter at @soapcities, on Instagram at @soapcities, and come chat with us in our Facebook group. Catch Days of Our Lives weekdays on NBC.